Ancient vampire Alexius lost his heart millennia ago when the only woman he's ever wanted was torn from his arms. He swore never to love again, and decadent pleasure is his only mistress. Bored with the Regency ballrooms and debutantes who are his for the taking, he searches for amusement in the back alleys of London. Bewitched by a mysterious temptress he abducts her, but instead of fleeting satisfaction she haunts his nights and stirs the embers of his long-frozen heart. Morana exists only to obliterate every vampire on earth. She has no time for mindless pleasure until the night she meets the dominant duke. Unaware of his true nature, it isn’t long before she strips away his arrogant façade and discovers the man beneath her captor. Her defences crumble, but as she falls, her lifeblood ebbs. While Death waits in the shadows to claim his ultimate prize, Alexius and Morana race against time to save her soul. But as the web of lies surrounding them begins to unravel, how can they outwit a destiny which threatens to tear them apart forever? 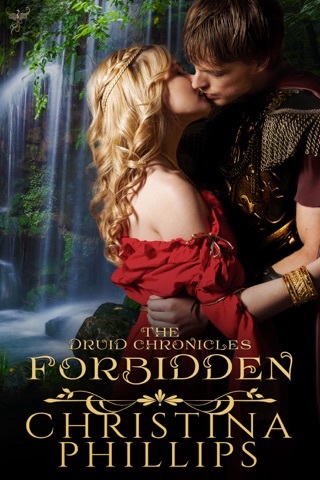 If you like heroes with a dark edge of danger, you'll love this erotically charged paranormal romance by Christina Phillips. 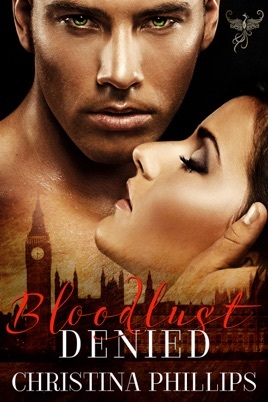 Buy Bloodlust Denied and enter this sinfully seductive world today.